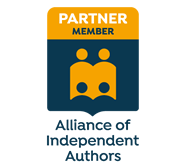 My new free PDF resource for independent authors is out now: The Mechanics of Self-Publishing Print Books: 10 guidelines in 10 minutes. Aimed at writers who want to do their own print formatting – using Word – this PDF toolkit helps the independent, self-publishing author to deliver a professional-looking book to market. The guidelines are based on my own experience of publishing three print books, and my previous career experience within the publishing industry​.